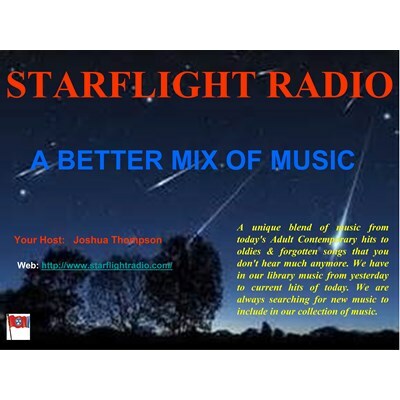 Starflight Radio: A unique blend of music from today's Adult Contemporary hits to oldies & forgotten songs that you don't hear much anymore. We have in our library music from yesterday to current hits of today. We are always searching for new music to include in our collection of music.